It’s now been a year since the Government announced its AI sector deal and in the subsequent months we’ve seen more and more businesses, from a range of sectors, looking to embrace AI in some form or another. While we may not quite be at the ‘I, Robot’ stage just yet, you’d be forgiven for imaging it, given the watercooler hype that surrounds developments in smart technologies. Ignore the hype: For every CEO that’s terrified of the rise of the machines, there’s another that’s desperate to incorporate AI into the business, in anyway possible. It’s important to take a step back, to not get carried away and to think about where AI could add real value to your business processes. Experts from Accenture advised that a good starting point is to think about the challenges your business face (a Digital Catapult NETV favourite for innovation projects). Be Data-savvy: The starting point for any AI development is to look at what data you currently collect and/or process, and then to think about what you should be collecting moving forward. Data fuels AI and without high quality, relevant data your AI bot won’t be able to do anything remotely useful. 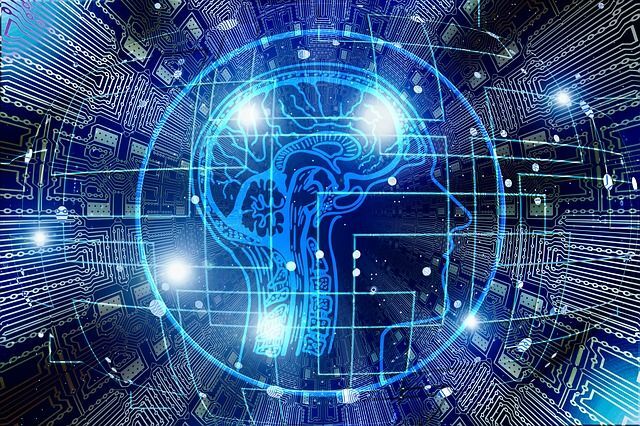 Be digitally risk aware: There are new risks associated with AI that businesses need to consider before adopting the technology. If you’re thinking about using a bot or virtual assistant, for example, what are you going to do with the data generated? Will it be stored securely, put to other uses, discarded? What happens if the person interacting with your bot is not a genuine customer? If you’re relying on a bot of any sort, is there a risk it could be manipulated by a competitor or fraudster? Test before committing: If you have an in-house dev team, get them to test out concepts or tools before you commit any significant spend to development or roll out. There are plenty of open access tools and resources that your team can use to get a basic understanding before you pay to bring in the experts. Remember your customers: If you decide to use AI in any of your business processes (whether that’s decision making or customer service) you need to think about your customers. How are you going to let them know you use AI, or that they are chatting to a bot? What happens if they don’t want a decision or conversation to happen with a machine? AI can be used to augment human decision making, but shouldn’t be used to replace it all together. Probability vs Risk: As any mathematician will tell you, statistics is a numbers game. AI decisions are made based on data, to a degree of certainty. What that degree of certainty is varies from algorithm to algorithm. As a business, you need to be comfortable that the level of certainty provided by an AI system is proportionate to the level of risk associated with that decision. Categorising complaints? An 85% certainty is probably ok. Diagnosing life-threatening diseases? You might want to be 99% certain before sending someone away with a clean bill of health. Think about ethics: Ethical and regulatory change takes longer than technological change. It could still be a few years before we have laws or regulations in place around the development and implementation of artificial intelligence. As a business leader, you need to be thinking about more that ‘what’s legal’ and instead focus on ethical implementation. If you automate manual processes, are people likely to lose their jobs? If so, can you retrain them or upskill them? Make sure that your AI is accountable. If your business has a challenge it wants to overcome, and you want to explore how AI or other technologies could help you do so, why not speak to our Digital Catapult NETV team to see how they can help?